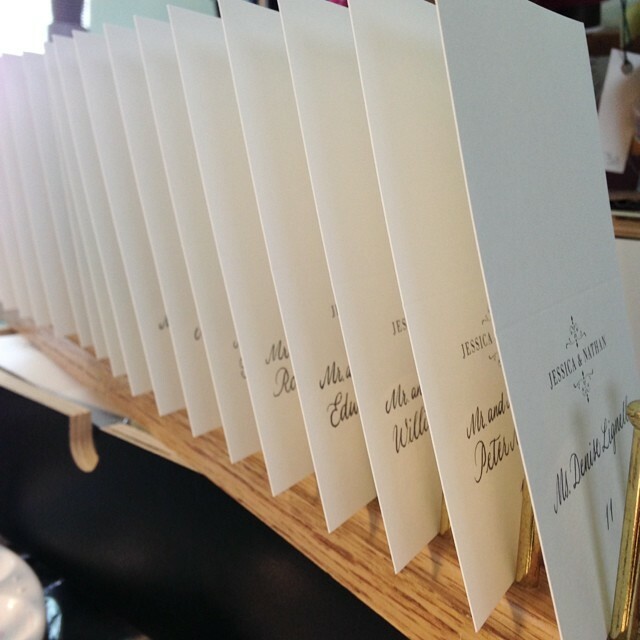 Seating cards. I used a tiny vintage Esterbrook mapping nib for these and they turned out really well. 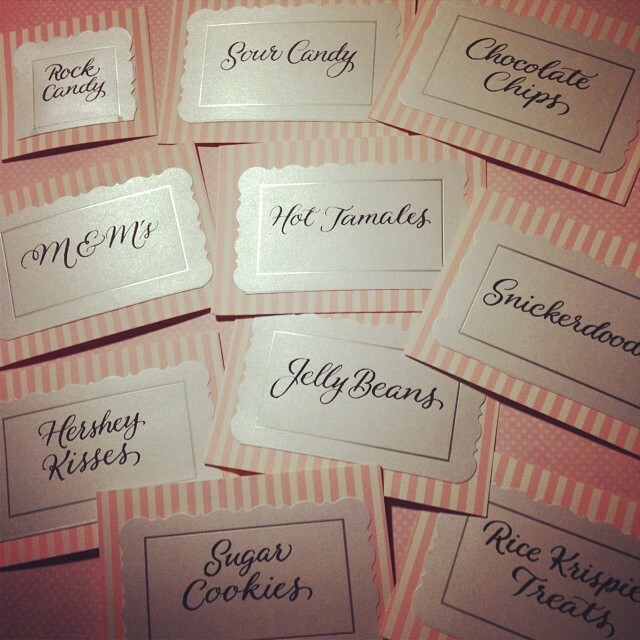 Fun labels for the Candy & Cookies table! Pamela wanted a more fun script for these and I love how they turned out. 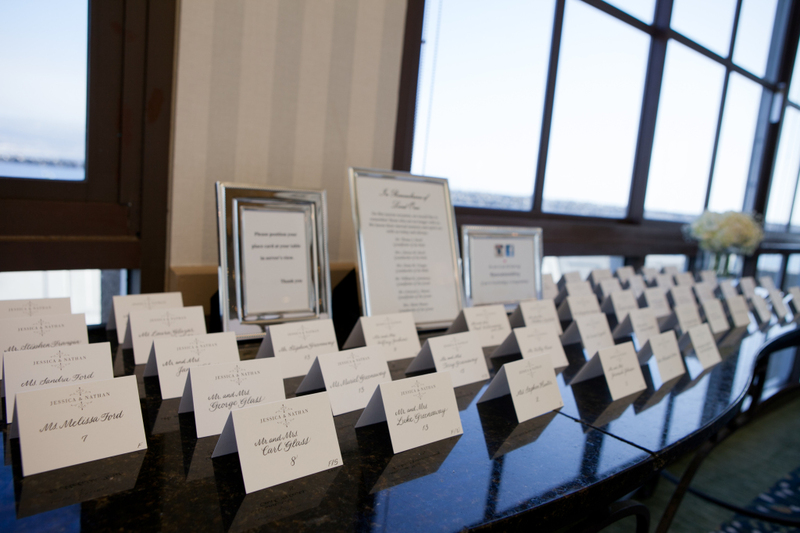 And here are some photos Pamela shared with me from the wedding day. 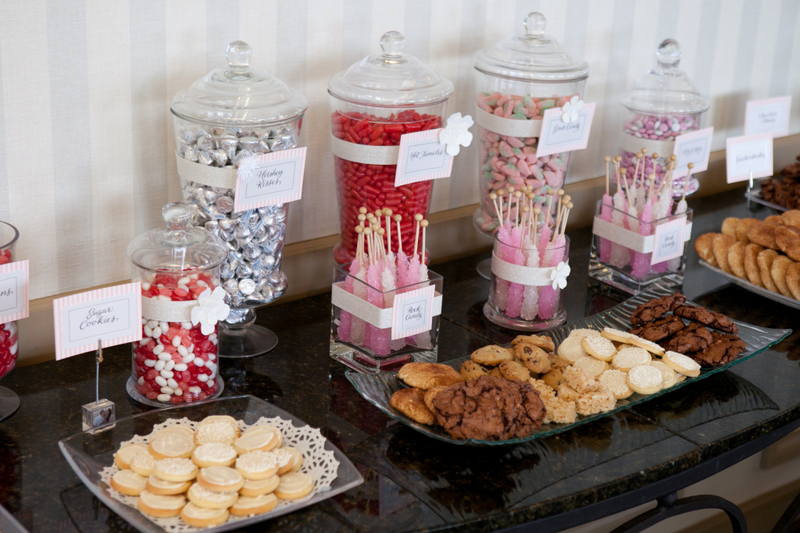 And here is the fun Candy & Cookies table! This was very special as Jessica’s grandmothers were wonderful bakers. A closeup. 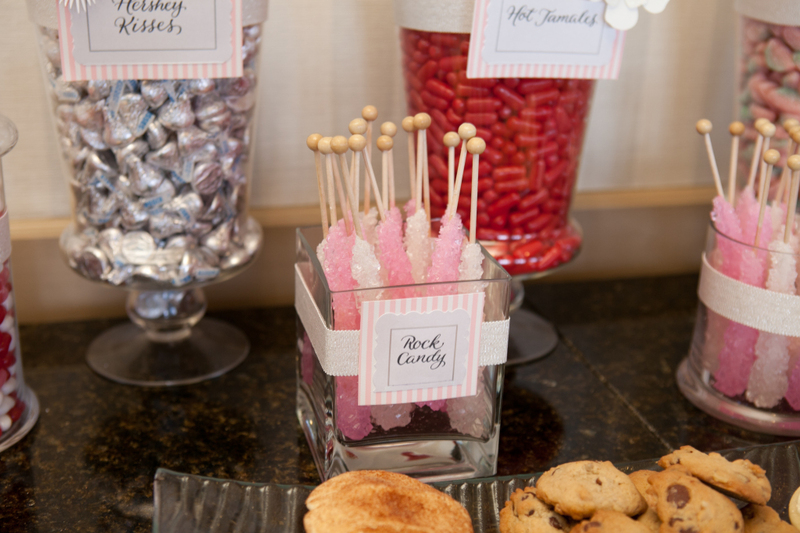 How sweet and how fun! 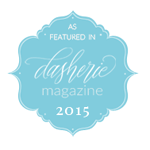 It was wonderful to work with Pamela and Jessica on this lovely wedding. 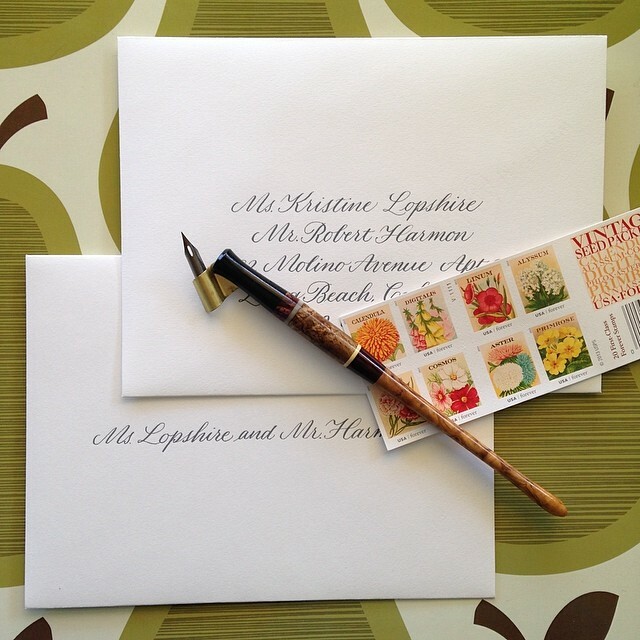 As a calligrapher, I don’t usually get to see my work in the wedding, so I really appreciated these photos! 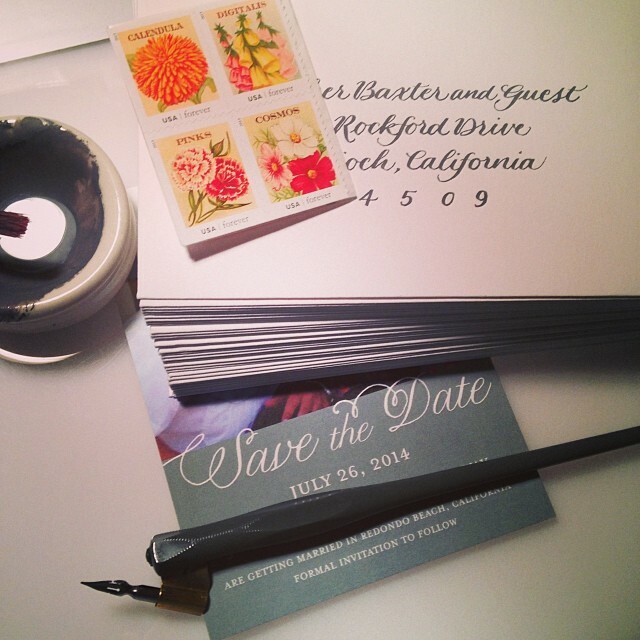 It makes me so happy and honored to have my calligraphy to be a part of such a special day.